The Zimbabwe rugby team has reportedly taken to sleeping on the streets of Tunisia allegedly as a result lack of funds. The Zimbabweans, who lost 45-36 to Kenya in a Rugby World Cup qualifier last weekend, are in the north African country this week where they will be looking to get their qualifying campaign back on track. However, their preparation for the match has been hampered, allegedly as a result of appalling accommodation and a lack of funds. 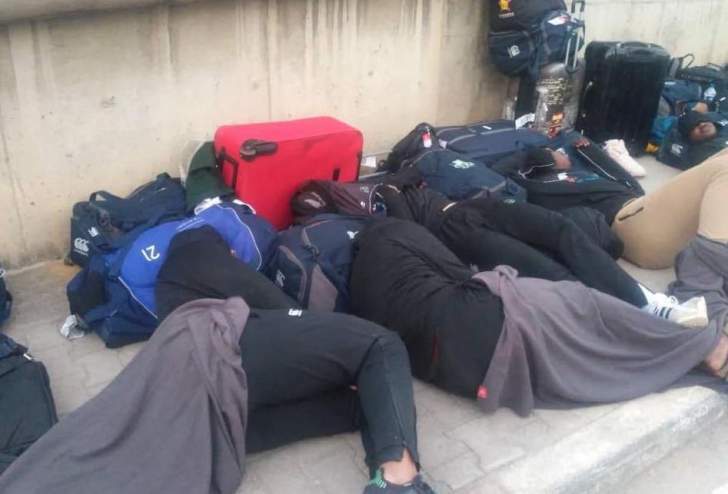 Images have surfaced on social media (see below) of the team, coached by former Springbok coach Peter de Villiers, lying and sleeping on the streets. Other reports indicated that they were held up at the airport for hours when authorities took their passports after they were unable to pay a visa fee. One of the Zimbabwe players, flank Takudzwa Mandiwanza, told Zimbabwean radio station Capitalk FM that the tour has been a “shambles”. He added that De Villiers had bought the players sandwiches and drinks out of his own pocket. “We’d be hungry right now. The situation is very frustrating and disheartening."